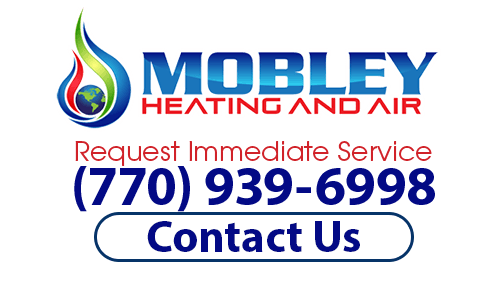 When you find yourself in the market for a local air conditioning and heating expert to help you with all of your home comfort needs, the only name in quality that you need to know is Mobley Heating & Air. Since 2013, we have been providing local Stone Mountain homeowners with the high quality air conditioning and heating services they need to keep their homes comfortable year round. Here at Mobley Heating & Air, we take great pride in the quality service that we are able to provide to local homeowners, and we believe this shows in the superior results that we are able to deliver each and every time we are called in to perform a service. Whether you are just in the market for minor air conditioning repairs, or complete heating system replacement, you can always count on the quality service you need to keep your local Stone Mountain home or business at peak comfort when you make the call to our team of skilled heating contractors. Here at Mobley Heating & Air, we understand that your Stone Mountain heating and air conditioning systems are likely two of the most essential aspects of your entire home or business, and this isn't a fact that is lost on us. We understand the trust you are placing in us when you make the call for service, and our team of fully licensed and highly trained professionals do everything in our power to make sure you never feel that trust has been misplaced. If you have any questions about our full line of high quality air conditioning and heating services, or if you would like to schedule an appointment for consultation with one of our specialists, give us a call today. Our team of experts are always standing by and would be more than happy to assist you in any way we can. The winter weather here in the Stone Mountain area can get pretty brutal from time to time, and when it does, you want to have full confidence that your heating system is up to the task of keeping your home at a comfortable temperature for you and your family. Waking up in the middle of a cold night to find that your home has turned into an icebox because your heating system stopped working can be a nightmare, but without the right care for your home's heating system, that nightmare can become all too real for many homeowners out there. Here at Mobley Heating & Air, our team of local air heating experts can help you with all of the various heating services you need to keep your system running effectively and efficiently all winter long. From repairs, to maintenance, and even total system replacement, we can help you do it all, and all of our work comes with a 100% guarantee of your complete and total satisfaction. If you are looking for a trusted Stone Mountain Air Conditioning & Heating expert, then please call (770) 939-6998 or complete our online request form.